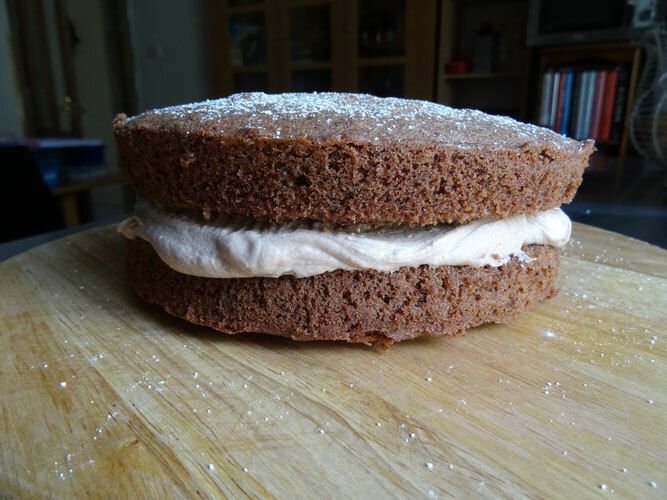 This basically my Victoria Sponge recipe with a few tweaks to turn it into chocolate heaven! Go on you know you want to! 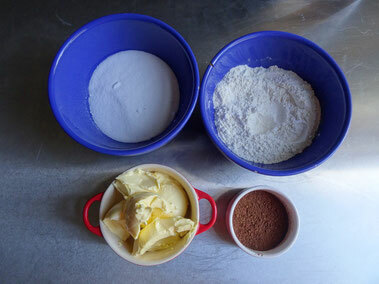 Add the flour, baking powder & cocoa powder & stir gently until thoroughly mixed. 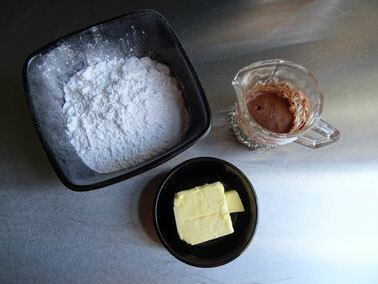 Add the cocoa a little at a time & mix until you have a smooth spreadable paste. 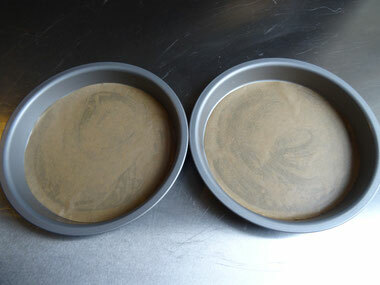 To put the cakes together, spread one of the cakes with the buttercream then carefully place one on top of the other & press down gently.